The objective of this corporate Framework (the ‘Framework’) is to guide the Food and Agriculture Organization of the United Nations (FAO) in carrying out its mandate in its areas of competence and comparative advantage, i.e. food security, nutrition and sustainable agriculture, towards a more deliberate and transformative impact on sustaining peace. Following the April 2016 Security Council and General Assembly resolutions on peacebuilding, the concept “sustaining peace” encompasses activities aimed at preventing the outbreak, escalation, continuation and recurrence of conflict, including addressing root causes and moving towards recovery, reconstruction and development. The United Nations Secretary-General has called on all UN entities to integrate the approach to sustaining peace in their strategic planning, and to regard sustaining peace as an important goal to which their work can contribute. This Framework is targeted at FAO as an organization, including all personnel and in all geographic locations. This Framework also speaks to all FAO’s member states and governing bodies, and guides member states’ expectations of the Organization, and collaboration with it. 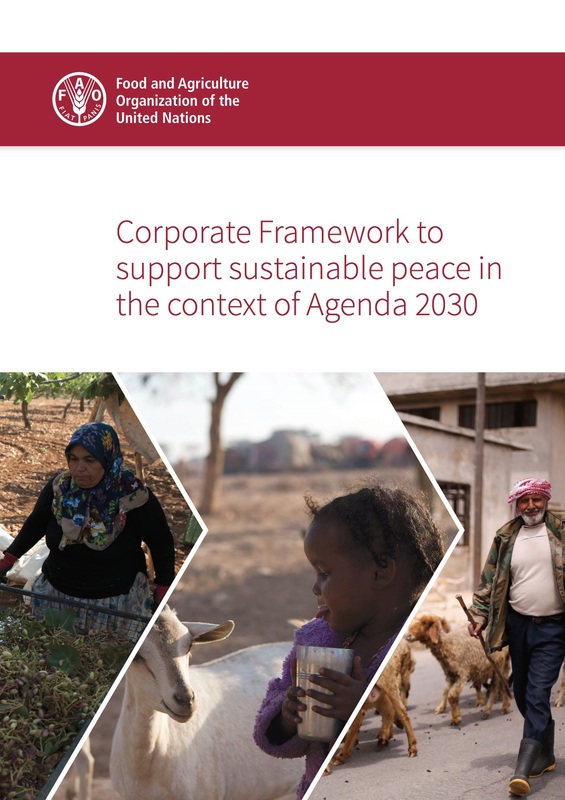 The Framework is based on a background document that details the rationale and FAO’s experience and comparative advantages in contributing to sustainable peace. A series of supporting documents will be prepared to accompany implementation of the Framework over time. In particular, Operational Guidelines will define how to implement the Framework in the context of FAO’s Strategic Framework.